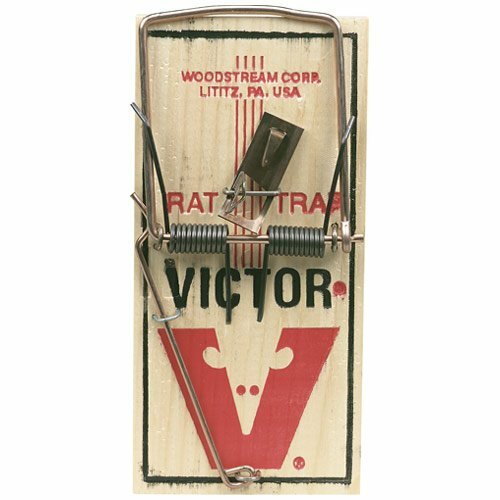 The classic Victor wooden mouse trap has been around since 1898. There is a reason why it has stood the test of time. It’s simple yet reliable design has effectively been doing what it was made to do since it’s introduction at the turn of last century. I’m sure you’ve seen one of these before, we pretty much all have! The classicly simple wood board and metal spring design has not been changed since the Woodstream Corporation of Lititz, PA originally filed their patent so many years ago. If you’re looking for the nostalgia factor, and you would be more comfortable with in old school product that you know and trust, and your grandparents knew and trusted, then this is your go to model. I’ll come right out and say that this is no longer the most efficient or effective type of kill trap that exist today. The wooden board with its metal snap in spring was revolutionary when it was first unveiled, but it has been beaten in recent years by more modern and effective materials. One obvious advantage that the Victor has going for it is its price. These things are dirt cheap and you can get a pack of 12 or even 48 for peanuts. If you’ve got a huge infestation and your plan involves laying down a huge amount of traps all over the place, then this is probably the cheapest way to accomplish that goal. One huge downside however, is that these are not foolproof. Unlike the JT or the T Rex that I talk about in my other reviews, you actually have to get your fingers in there to manually set up the spring and metal guillotine. If you know what you’re doing generally you will not hurt yourself, but there is always a real possibility of a painful surprise of the trap triggering itself while you are trying to set it. It has happened to me in the past and one time was enough to turn me off from the idea of saving a few bucks to get these cheaper models in the first place.